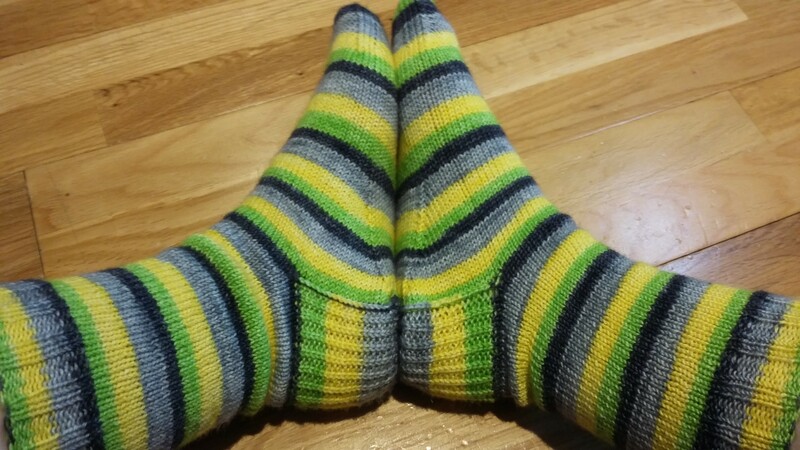 I needed a vanilla sock to help me through a difficult meeting, and not having one on the needles I chose a fun self striping by Unbelieva-wool from my stash. Ruth of rockandpurl had just done a series of blog posts on her perfect heel, known affectionately as That Heel Girl, and I decided this was the perfect opportunity to test it out. This heel has several factors: an unusual heel flap, a unique pick up method and gusset decreases placed on the bottom of the foot causing it to hug the foot in a pleasing manner. According to Ruth, this is a winning combination. The only issue I found was that because the heel flap requires an odd number of stitches and I started with a multiple of 4 (my favourite 64 stitch cast on), the foot ended up with 33 stitches on the instep and 31 on the sole. This was fairly easy to accommodate when it came to the toe, however, and would be solved completely a round or star toe was used. 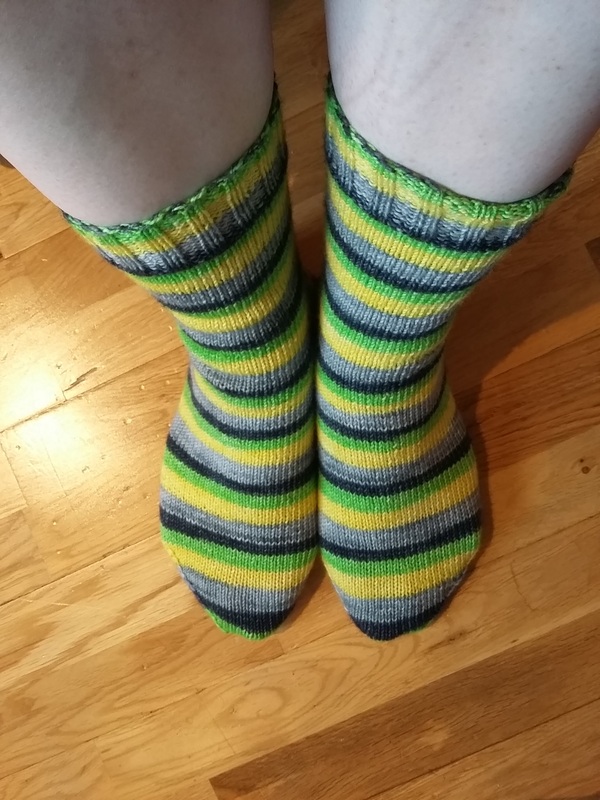 I like the cushiness of the heel flap and the pick up method is very neat, although with self striping yarn you do get a flash of the wrong colour of yarn at the edges of the heel flap. I’m not sure the moved decreases are always worth the extra brainpower required to keep track but it does fit very well. I love the wool, the colours are lovely and vibrant and it makes a great, smooth fabric. I think these socks are going to give me a little boost every time I wear them, and we all have days when that would help.